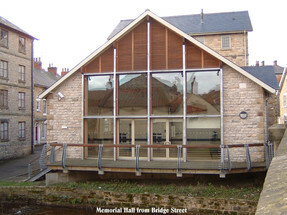 Pickering Memorial Hall, which was gifted to the people of Pickering in 1922 as a war memorial and public amenity, has been tastefully refurbished and meticulously maintained in order to comply with modern legislation. It has been designed to host a wide variety of social and educational events at very competitive rates. The ground floor reception area comprises cloakrooms, toilets with disabled/baby changing facilities and a lift serving all three floors. This leads to the large 'Whistler Hall', housing Rex Whistler's famous wall painting of wartime children eating cakes, seats 180 and has a fully fitted kitchen and separate bar area. This hall is the ideal venue for dances, concerts, conferences, meetings, exhibitions, weddings etc. and is extremely popular with Pickering residents. The first floor houses the Town Council offices and the Beckett Room, seating 40, with an adjacent fitted kitchen and toilets. The second floor offers a number of storerooms and small offices for local ventures. 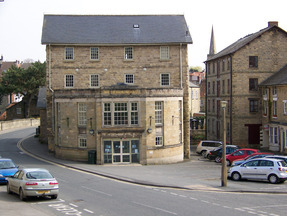 The Mill Suite with panoramic views of the town, a seating capacity 50, and adjacent small fitted kitchen and toilets occupies the top floor. All public areas are disability compliant with internet connectivity and large projector screens. Staging, exhibition stands, sound and lighting equipment are available to customers. The hall is staffed each weekday from 9.am to 12 noon. Phone:(01751) 477522 | Email: enquiries@Pickering­Memorial­Hall.co.uk.